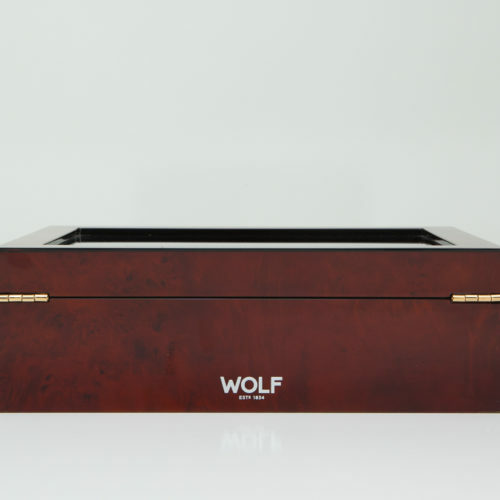 Our most elegant collection of watch winders and watch boxes is a favorite among watch aficionados and serious collectors. 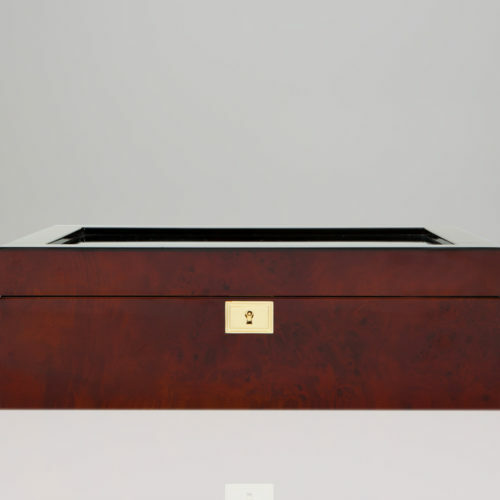 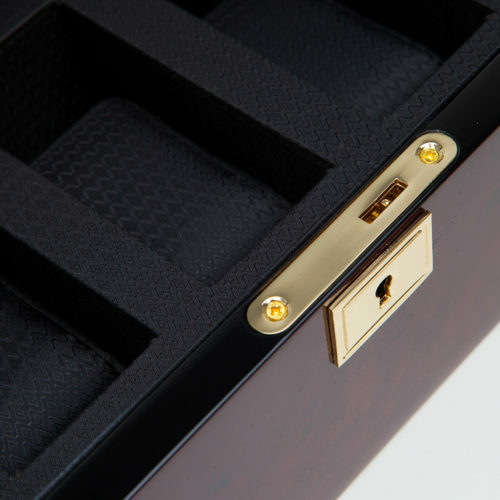 A meticulously engineered watch box with a classic design, the Savoy includes 5 piece watch storage, wooden frame, black textured silk lining, locking glass cover, burlwood case and gold finished hardware. 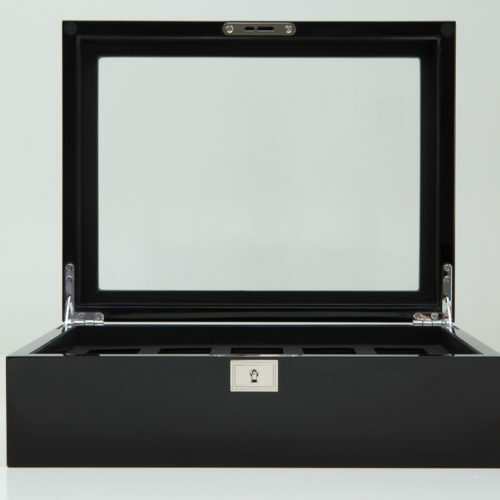 A meticulously engineered watch box with a classic design, the Savoy includes 5 piece watch storage, wooden frame, black textured silk lining, locking glass cover, piano black case and chrome finished hardware. 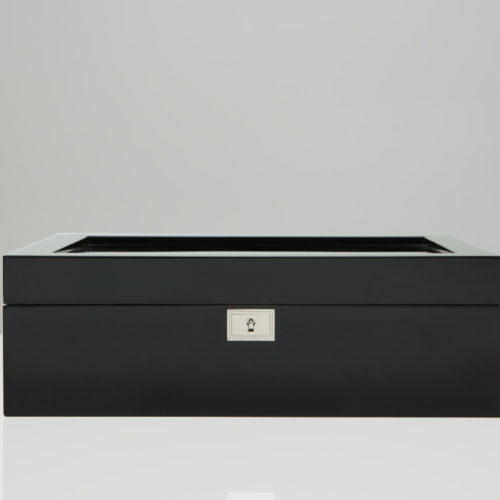 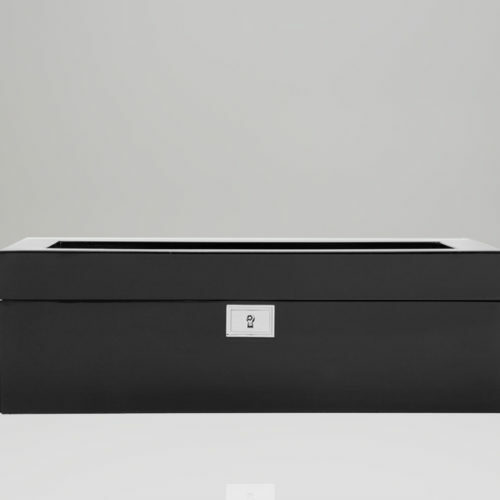 Savoy watch boxes are constructed with a sturdy wooden frame, piano black exterior and a black textured silk lining. 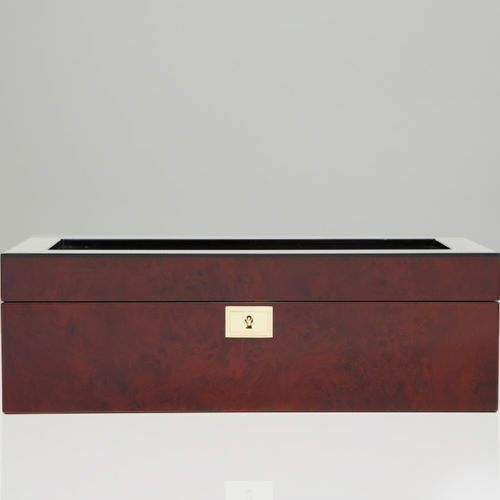 It features silver plated hardware, recessed metal hinges, key lock closure, see-through tempered glass lid. 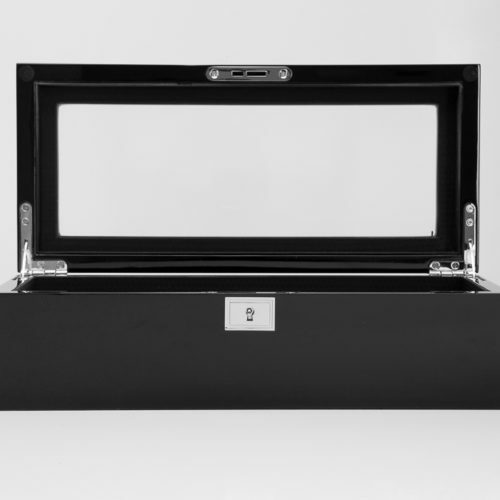 Holds up to 10 watches and, with 1.5″ (55mm) between each cuff, this compact yet spacious case can accommodate any size watch — even the largest 52mm case. 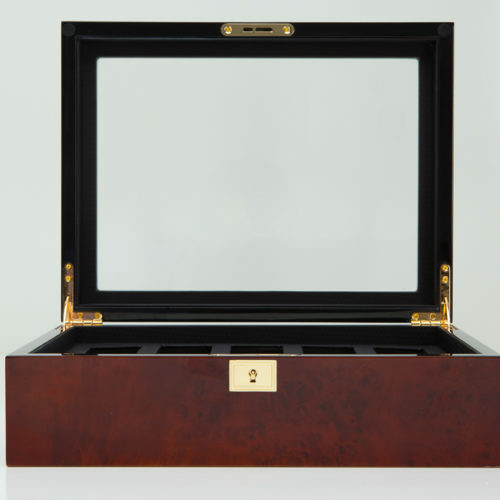 Savoy watch boxes are constructed with a sturdy wooden frame, rich burlwood exterior and a black textured silk lining. 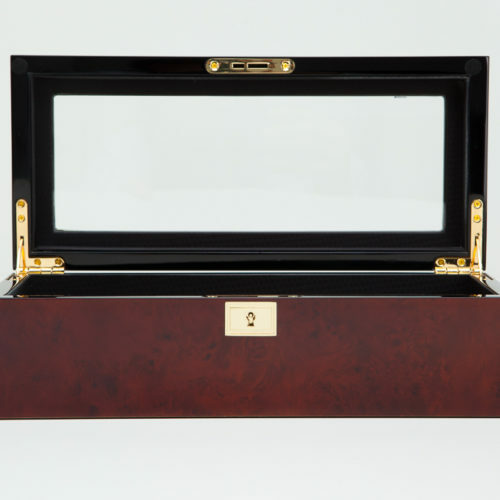 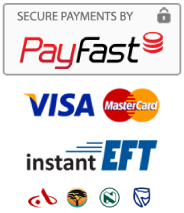 It features gold plated hardware, recessed metal hinges, key lock closure, see-through tempered glass lid. 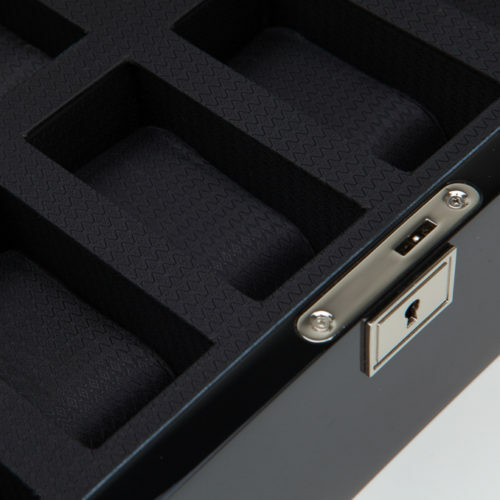 Holds up to 10 watches and, with 1.5″” (55mm) between each cuff, this compact yet spacious case can accommodate any size watch — even the largest 52mm case!